Stylish surroundings and close proximity to the town. The beds were excellent, very comfortable. Nothing was too much trouble for the staff. The hotel club was so clean. The view from the room was beautiful, the wine offered when we began our stay was a nice touch and enjoying it on the balcony, after our long trip, while taking in the view was great. The room was large and clean, staff was nice and they offered good recommendations for beaches around the island. We also especially enjoyed the pool on location. The breakfast was good. If I will be back to Spetses, I will sure come back to Zoe's Club! Superb breakfasts! Lovely pool - very pleasant to sit by in the comfy sun loungers. Large, airy rooms with every facility including hairdryer, iron etc. Great bathroom with first rate facilities and shower. Friendly and helpful staff who went to a lot of trouble to make the stay good. Perfect position in the heart of Spetses town, so easy to walk to restaurants, beaches and so on. Best service. The staff were friendly, helpful and efficient. Amazing place to stay. Extremely helpful and effective / efficient staff. Very clean. Very clean and well maintained property. Nice pool area with comfortable sun loungers. Helpful staff. 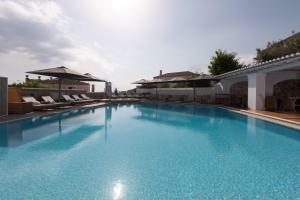 Excellent location within Spetses town in a quiet area yet close to everything. Well appointed room with sea view from private balcony. Lock in a great price for Zoe's Club – rated 9.6 by recent guests! This small complex is comprised of luxurious apartments and maisonettes, each individually designed and equipped to the highest standards. There is a poolside bar and cafe, surrounded by fig and olive trees, and dotted with colorful flowers. The 19th century building is fashioned in the traditional architecture of the island, with local materials like byzantine, slate, terracotta and marble all used. Zoe's Club provides the comfort, luxury and privacy appreciated by the most discerning traveler. When would you like to stay at Zoe's Club? Opening to a balcony with sea views, this open plan studio is equipped with an LCD TV, air conditioning, Internet connection and mini bar. The bathroom is stoked with a shower. Ground-floor studio with pool or garden views. It is open plan in style and features a bedroom, a seating area and a bathroom. All rooms are equipped with an LCD TV with satellite channels, air conditioning, internet connection and mini-bar. House Rules Zoe's Club takes special requests – add in the next step! Zoe&#39;s Club accepts these cards and reserves the right to temporarily hold an amount prior to arrival. Zoe's Club accepts these cards and reserves the right to temporarily hold an amount prior to arrival. Guests are kindly requested to inform the hotel in advance of their estimated time of arrival, so as to arrange free baggage porter . This can be noted in the Comments Box during booking or by contacting the hotel using the contact details found in the booking confirmation. When you arrive, just keep in mind that there are some stairs you need to climb with your luggage and it is uncomfortable. We didn't see on time information about the possibility to have someone waiting for us when we arrive at the port, so make sure you enquire about this possibility before you arrive. This will make the stay perfect. Our room didn't have its own balcony. We were on the ground floor and just had two chairs and a table outside in a shaded area which was a bit cramped and shared with the people in the next room. A lot of the upstairs rooms with sea view and balcony seemed to be empty, so we couldn't quite understand why we didn't have one of those as we paid a good price ( 200 eu a night) . A little bar would have been nice to get people together. A bit too many stairs to get there. Not anything serious though. Smoking was allowed everywhere which we found disturbing on occasion. Coffee included in breakfast buffet was very weak and barista espressos carried additional charge. 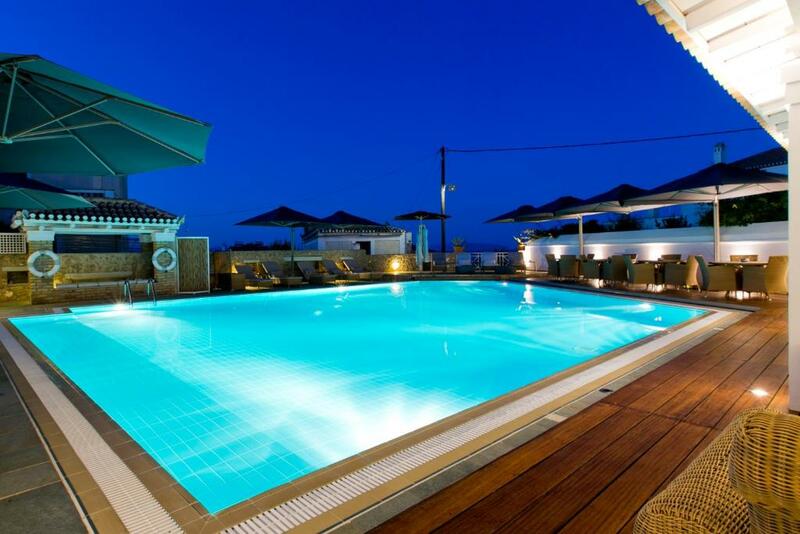 Pool in the center of spetses Close to restaurants, ports, shops etc. Modern contemporary feel. Simple yet tastefully decorated bedrooms. The pool was amazing.